From desktop programming and Local Area Networking to mobile app development and cloud computing, it is hard to gainsay that computer science has played a significant role in making the world a better place. 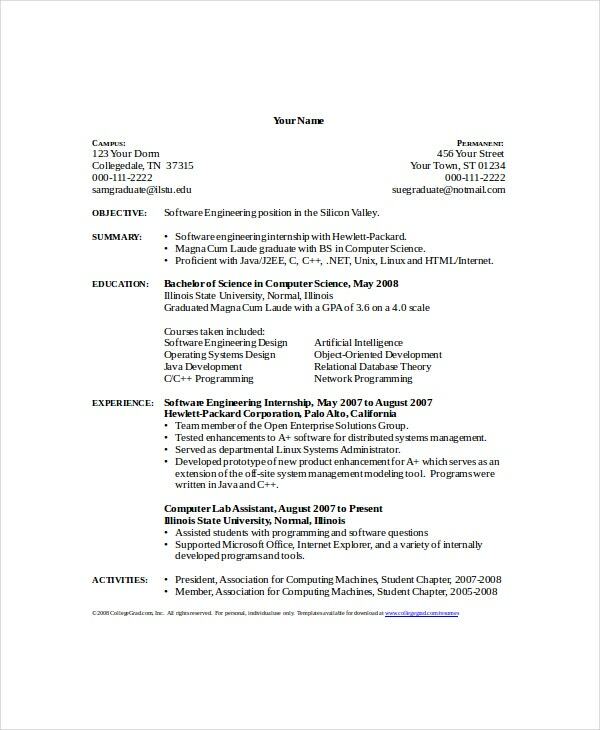 With so many job openings available in the Info Tech field at the wake of every day, the assurance that you can write an impressive computer science resume and get an IT job is an absolute. 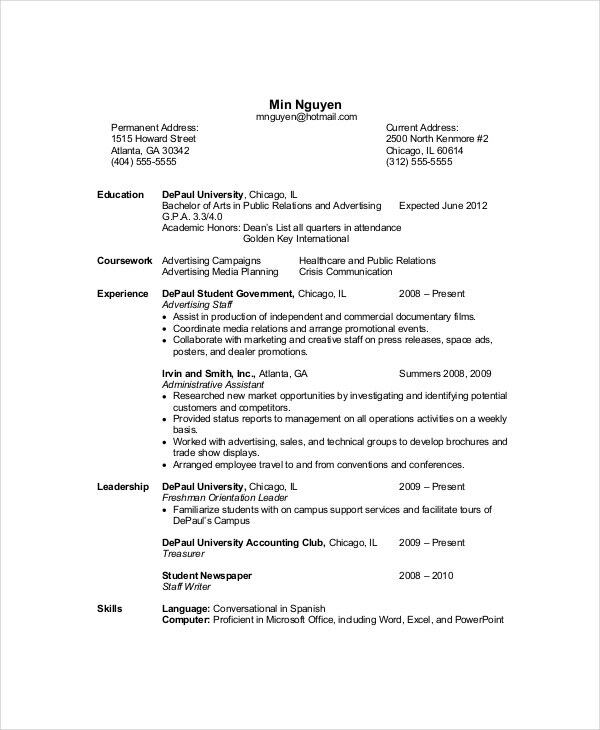 To simplify the resume writing process, consider using the following Resume Templates. Put yourself in the forefront as the best IT employee with this template. Because the template tells a lot about oneself, you should customize the content to suit your needs. The template is print ready. The student template is perfect for those who would like to apply for temporary jobs or attachments. Besides, if you are an entry-level graduate, you will find this model useful for resume writing. 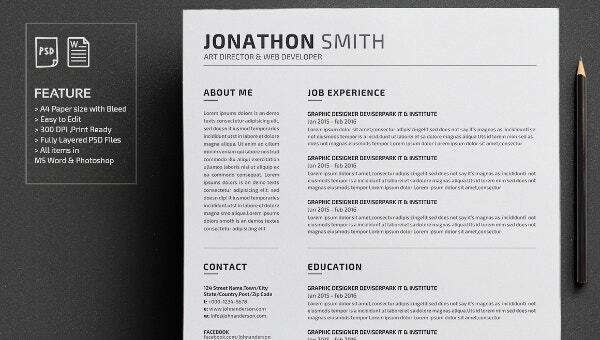 You can also see Chef Resume Template. The template is as simple as what your eyes see. It is best for those who are entry-level IT professionals, and you can use the model as a comprehensive guide for writing a personal resume to a potential employer. 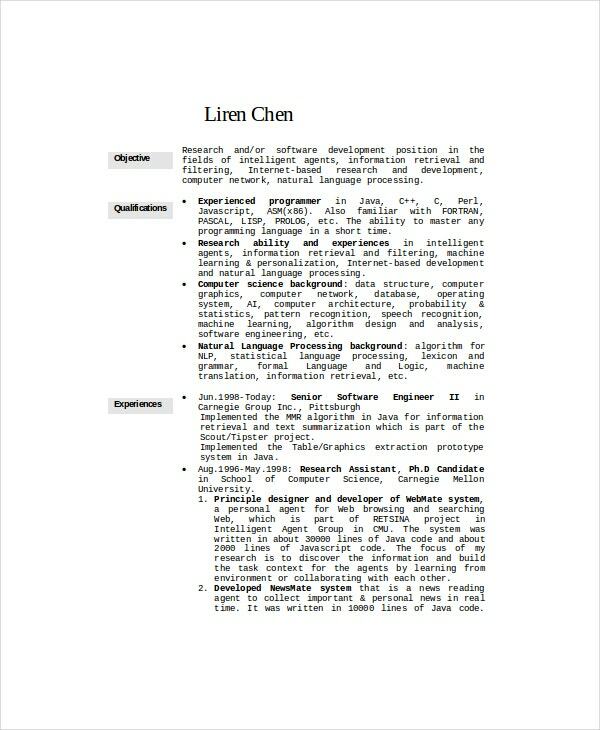 Graduates almost always struggle to get a good resume done, but that doesn’t always have to be the case because this template can help you to prepare the best resume for the target computer science job. The resume template is a professionally customized model that will help you get your resume done in minutes. The template is free to download, easy to edit, and always ready for print, even without editing. 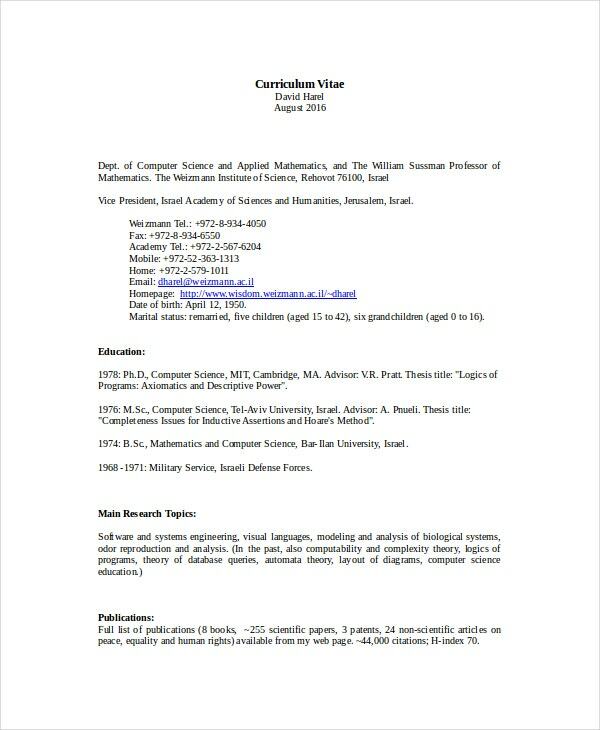 > What to Include in a Computer Science Resume? Your education background should have a close relationship with the job in question. Therefore, remember to mention all the IT education levels that you did in school. You career objective should have a clear statement of your IT goals; you can cite examples of what you’ve developed or what you are good at. 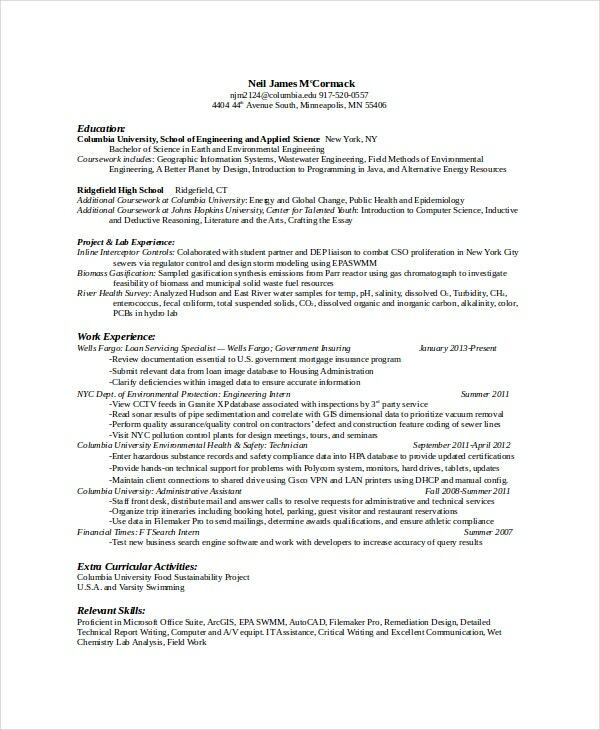 You may also see Executive Resume Template. You career objective should suggest that you have the intention to scale the Information Technology department of whatever company to higher heights. Whether you are into design, app development, or computer programming, your objectives should be as clear in writing as they would in spoken words. Highlight major experiences. By doing so, you are not only building your portfolio but also you are enhancing the chances of winning the interview. If you were a lead developer in your previous company, you could quote the names of the projects completed and give references if possible. Essential details are significant, but it’s not necessary to include them, particularly if you are sending your resume along with the application letter as an email attachment. However, do not forget to include your contact details on the resume. It is important to make it easy for a potential employer to reach you whenever needed. You may also see Cashier Resume Template. Except for the career objective part, consider writing everything else in bullet points. Writing full sentences is unnecessary; descriptions tend to get rather long and difficult to read. Therefore, use fragments instead. Fragments aren’t always complete sentences. That means they will help you convey your message in brief. 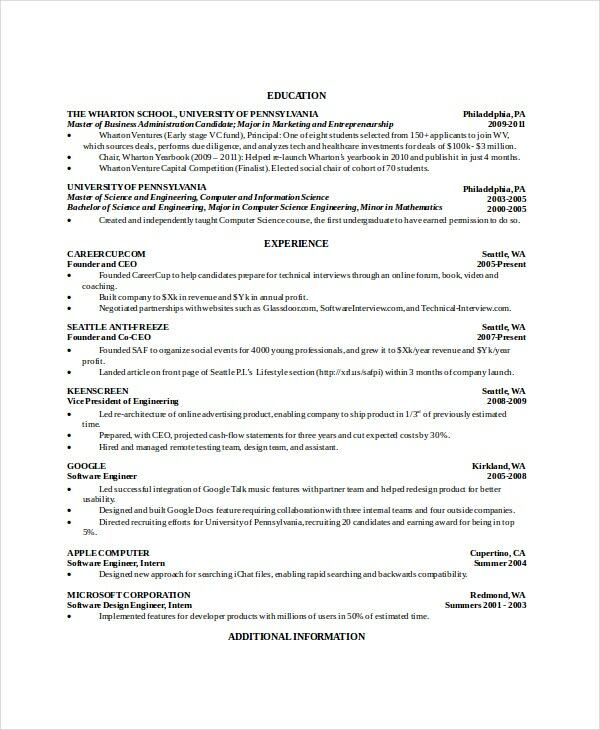 Try to avoid passive voice as much as you can when writing your computer science resume. Almost every author makes this mistake and you should avoid it. 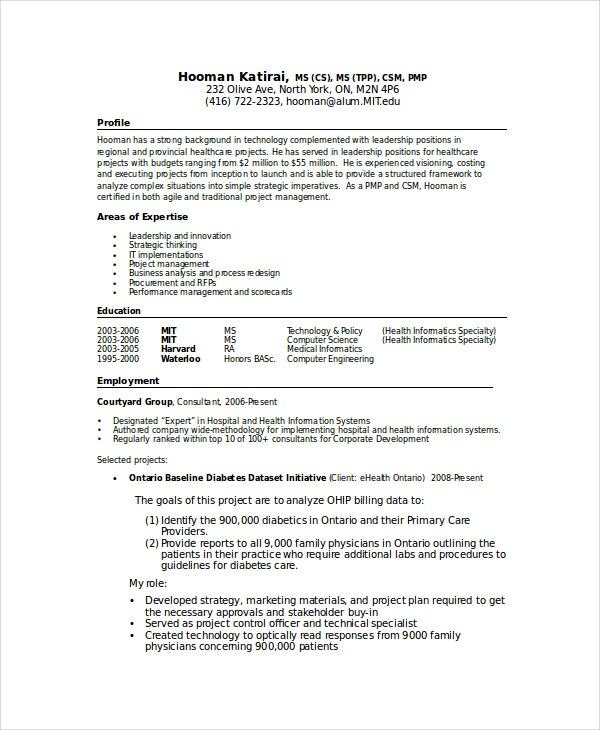 You may also see Personal Trainer Resume Templates. 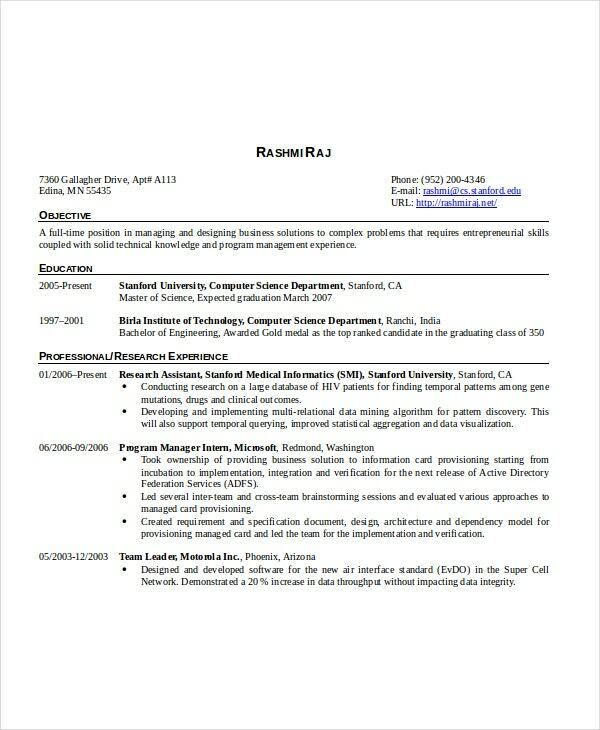 Computer scientists often don’t have the time to write resumes from scratch. The lack of enough time alone means it is necessary to have templates that can help them write the best resumes to help them get their dream jobs. As long as you have any of the templates provided in this article, you shouldn’t worry about getting your resume ready in time.